← James Morrison – Higher Than Here – Out TODAY! Top 10 for James Morrison! 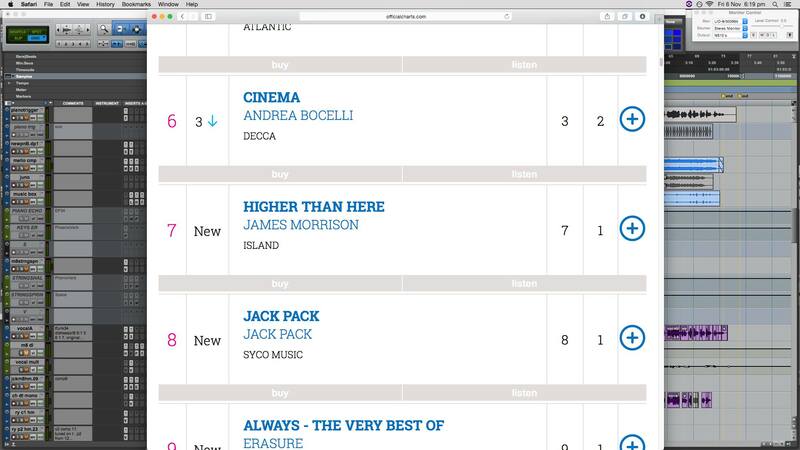 Higher Than Here has gone into the UK charts at No7! Thoroughly well-deserved for a great artist. Releases can be nerve-wracking for someone who’s had huge successes in the past – If the record is great that’s just expected, and if not you take a hammering which an unknown would be able to quietly avoid. Congratulations to James, and to Tim and Roy who produced the four tracks I was involved in engineering.